She’ll never be as well known as BB King, but one of the many bright lights in Detroit’s Soul heyday of the 1960’s has taken her final bow in front of the lights. 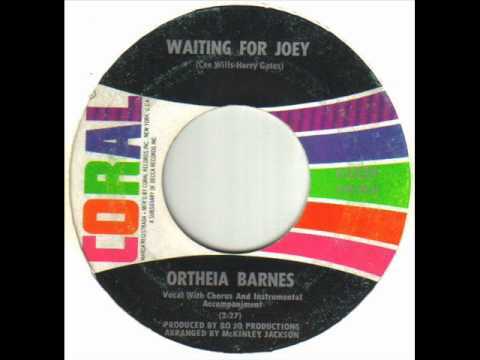 Although Orethia’s output during the decade isn’t as robust as many of her friends and peers, her rich emotive Alto was definitely the centerpiece on her outings for ABC Paramount and Coral. Beyond performing, she was a Detroit fixture as a Minister, a Night Club owner and a Talk Show host. To me, although all of her performances are pretty much peerless, she does one of the most absolutely heartwrenching Vietnam-Era love notes to men overseas with her first B-side for Coral in 1967. With all of the warmth here, you can see why it might be a little bit colder in Detroit today. Thank you for your work Ortheia Barnes.